One of the most frustrating things in language teaching is doing listening classes. The teacher presses the button then pauses and restarts the listening. Often the teacher ends up hearing the listening exercise as they are trying to sleep that night playing over and over in their head. The Becklin Rockstar offers to save the sanity of language teachers at the very reasonable price of $14.99. What it does is split the audio output. Five students can listen to the recording at the same time with earphones (10 if they share ear pieces). 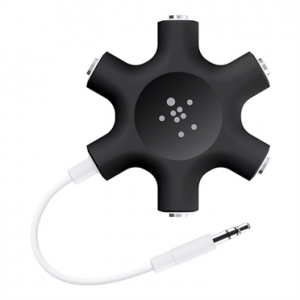 In essence, using a few of these with your audio device(s) turns your classroom into a simple audio lab. This gives the students more control over the volume and speed at which they are engaging with the material. It also can allow the teacher to do listening activities at the same time as speaking reading and writing activities without distracting other students. Sometimes teachers have to go into a class cold. 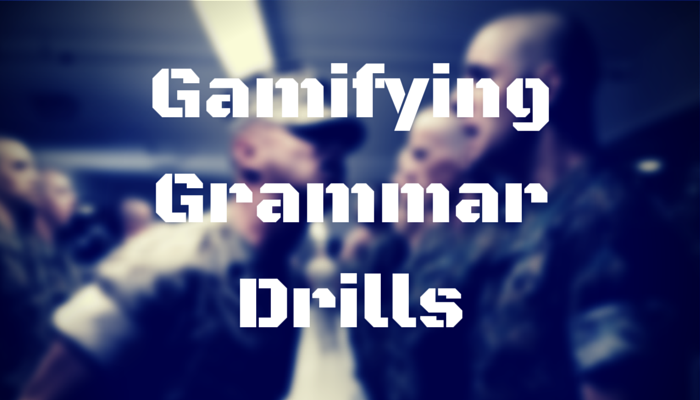 It can be even more difficult when you are dealing with a writing class. 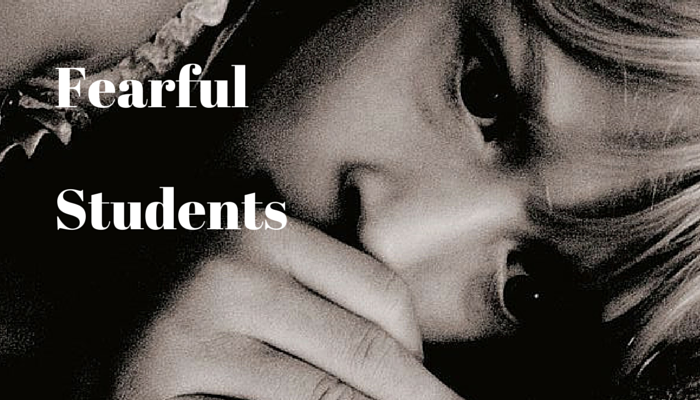 How do you give direction to students while still allowing them creativity? 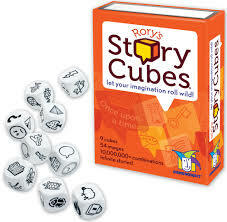 One method is to use Rory’s Story Cubes. Students roll cubes with images on them and then try to tell a story that links all the elements together. Ideal for upper beginner to advanced students, they provide a scaffolding to help the student create a unique piece of writing. In the classroom the students would be setup into writing teams, each student gets to roll one of the dice and then they try to write the story. They can use their dictionaries or teacher support to help them. At about $8 a set and with three sets available these are a valuable resource for any language teacher to have. Available from Amazon.com. Being a teacher can be a draining as well as a rewarding experience. There are the days when everything goes wrong in the classroom and you begin to ask why you do this. On days like these, certain books help to recharge the spirit. 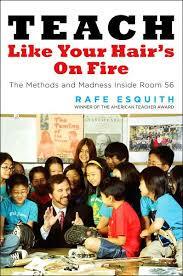 For me, “Teach Like your Hair is on Fire” is one of these. The story of Rafe Esquith’s classroom, and the struggles he has faced setting it up and running it, have helped me through some of the most difficult times in my teaching life. I can not recommend this book enough to new and experienced teachers alike. 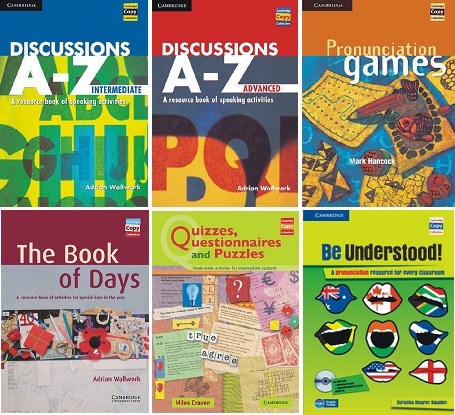 This series of books is ideal for the classroom. They cover a wide varieties of topics. The activities are divided into three levels on the same theme. All the activities are designed to be used as hand-outs for the students, and make wonderful quick classes for unexpected teaching situations. I am particularly fond of the Pronunciation games and the Colocations book. One of the best comic books in the past ten years it is beautifully illustrated and written. 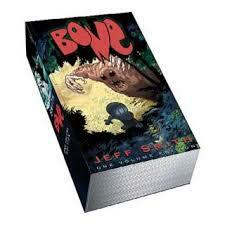 Jeff Smith manages to create a complex and engaging world while using very simple language so that it is accessible. This makes it a wonderful introduction to comic books for any ESL/EFL student out there. The series has been collected into a single volume or you can still get individual books in the series on Amazon or through any good bookstore. 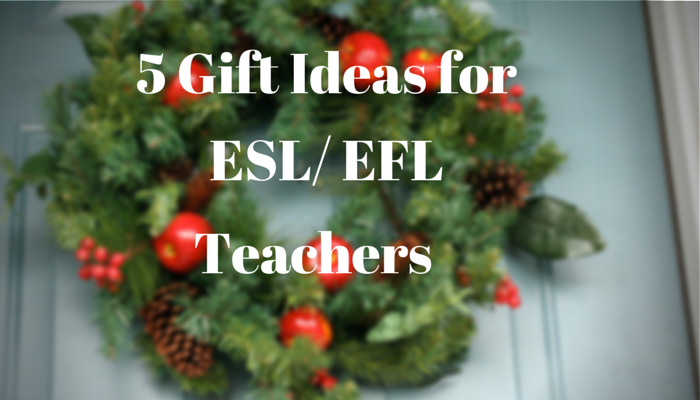 I hope some of these ideas will help and a happy holiday season to all.